Create your perfect space with this contemporary sectional sofa. 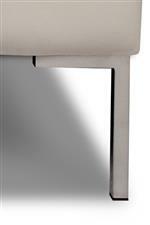 The angled track arms offer the piece a simple yet distinct design element. Pair sofa sections with chaises for a more relaxing piece, or configure a sectional that accommodates more guests. The Inspiration Contemporary Sectional with Left Arm Chaise by American Leather at AHFA in the area. Product availability may vary. Contact us for the most current availability on this product. 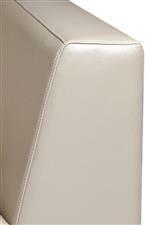 INS-SM2-RA Right Arm Sofa Section 1 82" 41" 33"
INS-SCH-LA Left Arm Chaise 1 66" 47" 33"